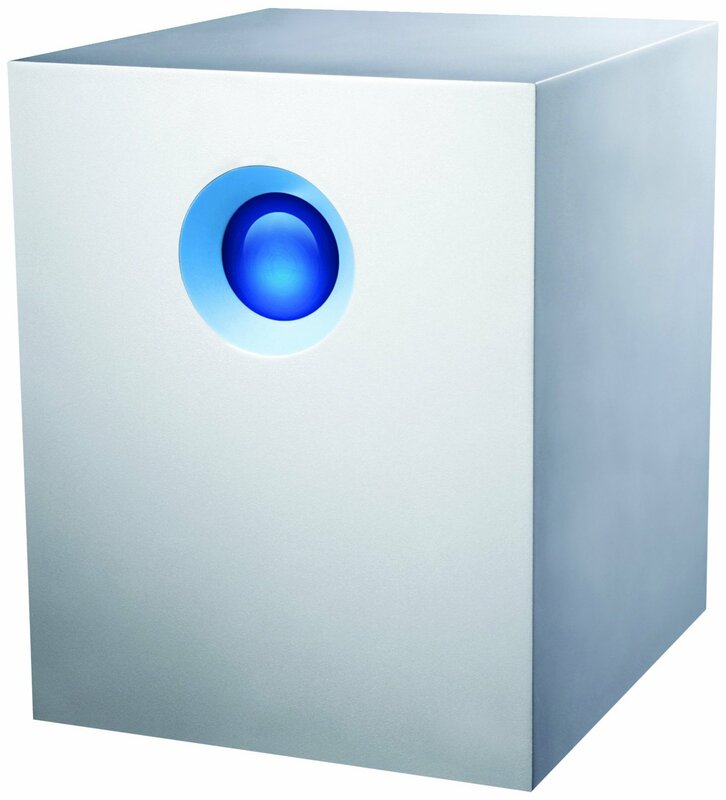 The LaCie 5big Thunderbolt 20Tb model comes with 5 preinstalled Seagate Barracuda XT 4Tb 7200RPM ST4000DX000-1CL160 hard drives that are able to push up to 180MB/s sequential read/write speeds on a single drive. Unfortunately there is no RAID5/6 support, but you can mix RAID1 and RAID0 groups via the Disk Utility. On a RAID0 set of 5 disks (20002215198720 bytes) I was able to get (and exceed) steady 600MB/s with Blackmagic Disk Speed test in both read and write on my late 2012 MacMini 2.3Ghz i7. This is about the same you would get with a similar set of cheap consumer-grade MLC SSDs, but with the added bonus of 20Tb storage. As the device has 2 Thunderbolt ports, you can daisy chain additional units to increase the storage. These speeds make LaCie 5big Thunderbolt series a great choice for capturing raw HD / 2k / 4k video as well as a scratch storage for a ongoing project. I’d not recommend using it as a permanent storage volume due to the apparent risks of RAID0 striped arrays – a failure of a single drive could be disastrous to the whole array. That said, having ultra-fast 20Tb storage next to your workstation is a great and welcome option for many. This entry was posted in Apple, Hardware and tagged benchmarks, LaCie, RAID0, storage, thunderbolt by Vahan. Bookmark the permalink.